We would like to welcome you to this fine midweek by introducing our potential new columnist here on All Things Jabu. With a complete rugby angle that has previously been unavailable here at ATJ, here is Louis Hiemstra. Very few things on earth have the ability to unify South Africans more than sport. 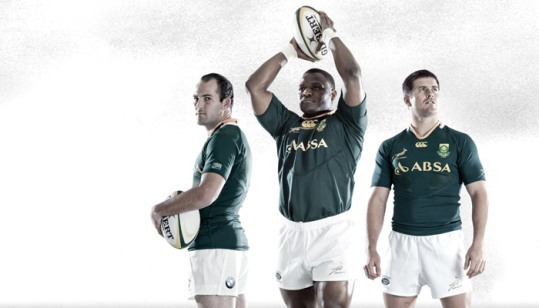 Few things on earth, however, have the ability to polarise us as a nation more than a Springbok squad announcement. I cannot recall, in any single Bok squad announcement, there not being at least one major debatable selection. In true Bok squad tradition we have now been presented with the return of the once-undisputed finest scrum-half to ever lace-up rugby boots. 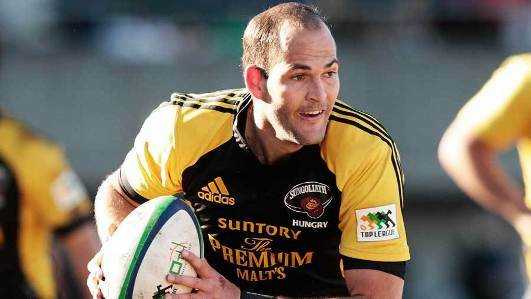 Whether or not you agree with Fourie du Preez’s appetite for the aerial game, it cannot be argued (with any enthusiasm at least) that between 2007 and 2009 he wasn’t head and shoulders above any other scrum-half in the world. The mystery of how he never won world player of the year in 2007 stacks up there with the SA arms deal, the latest round of Zimbabwe elections and just how on earth Bubba Watson managed that snap-hook on the 2nd play-off hole at the 2012 Masters. Habana may have scored the tries and won the award, but for me du Preez was the best player of 2007 by some distance. But that was 2007. And this is 2013. Much has been made of George Smith’s return from Japan, and rightly so. It has been amazing to watch how he has performed week in week out at such a high level. He fully deserves the credit which he has received. I can’t imagine that his 33 year old body thinks much of the torture he puts it through each week, but somehow it holds up each time and comes back for more the week after. The argument that has been put forward is that if George Smith’s body can hold up at 33 (and amongst the forwards no less) then what’s stopping Du Preez’s at only 31? The answer lies in what a team needs out of its scrum-half. It doesn’t necessarily need power, strength and bulk. It needs speed, agility and fitness – and good knees. Unfortunately these elements are first to go as one gets older. New Zealand’s view is that no scrum-half can perform at his peak for longer than 60 minutes – the physical attributes required of a scrum-half in today’s game, they argue, simply cannot be maintained by anyone for longer than 60 minutes. The All Blacks tend to substitute their scrum-half after no more than 60 minutes on the paddock, come hell or high-water. A scrum-half is the only player on the field that is expected to be at every single attacking ruck and, at least, in the vicinity of every defensive ruck. They may not need to be the toughest guys around, but they need to be damn near the fittest. I’m not saying that Fourie du Preez doesn’t have what it takes to make a vintage comeback. I’m not saying that he does either. Time will tell and I would love nothing more than to see it happen. The guy does seem to have a vintage feel about him and one thing that he won’t have lost is his ability to read the game better than most. If reports are to be believed, all may be revealed on Saturday as du Preez looks set to play off the bench in the first Test against the Argies. On the highveld, against a team not accustomed to the thinner air, in the last quarter and in front of (hopefully) 90 000 supporters could be the ideal platform to show the rugby world that he’s not done just yet. Yes, no, maybe? Maybe. Just don’t compare him to George Smith and we’ll get along just fine.